It's been almost a year since we last reviewed any YBA products, the last was the YBA YA 201 integrated amp. We have just had another YBA product delivered for review which is the YBA WD202 Digital to Analogue Converter. The brand goes back a long way, though, to 1981 when Yves-Bernard André set up the company that bears his initials. His past included work with some of the classics of French hi-fi, including Goldmund and Pierre Lurné (both among the most rarefied names in turntables), but his own company has been his main focus since its foundation. 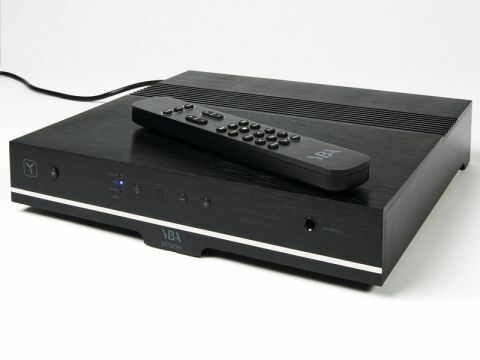 The range currently includes CD players and amplifiers – integrated and pre/power separates – and has recently been extended to incorporate this, the first YBA DAC, as well as a matching receiver and CD player. Unlike most other YBA products, however, they are made in China, but are still designed at the French headquarters. The design offers a tempting array of features. Obviously there are S/PDIF inputs on both coaxial and Toslink connectors, but also the professional-style AES-EBU on XLR and a USB socket for computers. Audio outputs are both unbalanced and balanced and a headphone socket on the front makes this potentially a one-stop-shop. Volume control is provided and this is separate for headphones and line outputs (and can be disabled entirely for the latter). There's even a remote control, something of a rarity with DACs. Construction is to a high standard, with a smart and well finished solid-aluminium case. An array of familiar integrated circuits inside handles the usual functions, including upsampling to 192kHz, while good quality op-amps look after analogue output. Technical performance is to a high standard, with excellent rejection of jitter, including via USB. We had some very satisfying times with this DAC, which seems to be an assured and confident all-rounder. If it has a weakness, it's very bright and busy music, which sounds like a close-miked orchestra or jazz with a lot of wind instruments. With such material the sound can be just a touch on the strident side and a little detail is sacrificed in both treble and midrange. Otherwise, there's a great deal of poise and insight in the sound. Midrange is particularly beguiling, with plenty of detail but also some very nice distinction between the timbres of different instruments. This makes it uncommonly easy to follow what each instrument, or indeed voice, is doing in a complex piece of music and if one prefers to listen to the overall soundscape rather than its constituent parts it is perfectly possible to do so. There's also some fine rhythmic integrity and drive. It would be an exaggeration to say that this is the most foot-tapping piece of audio kit we've ever encountered, but for a component that offers such fine melodic flow it is unusually persuasive in terms of timing. Playing an assortment of more-or-less funky tracks quickly convinced us that this DAC understands how to make a rhythm communicate. Part of that must be due to the particularly tight bass, which extends well but never loses grip. It's also tuneful – sometimes this is less apparent than the grip, but it's still there and prevents low-lying melodies from becoming an indistinct dull thud. Jazz fans will appreciate that, as it makes the old jazz favourite of the walking bass line much easier to follow and we enjoyed a similar benefit with piano recordings, especially those of works that exploit the bottom register of the instrument. At the other extreme, the high treble is clear and open, though as noted above it closes in slightly when there's a lot going on. It's nothing short of gorgeous with subtle, small-scale recordings. We would be unkind if we neglected the headphone output, which is clearly no afterthought: it is a very capable addition to the unit and gave excellent results with various models of cans plugged in. It has enough output to drive moderate-impedance headphones quite loud and maintains a high degree of control which makes for very satisfying listening.